I was impressed with the first volume in the Hobbs College Library from Oklahoma Baptist University when it was published last year. 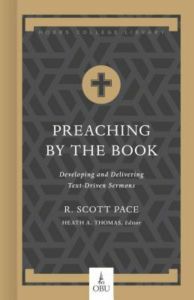 It’s taken me until this Spring to get to the most recent volume in the series, Preaching by the Book: Developing and Delivering Text-Driven Sermons, by R. Scott Pace. 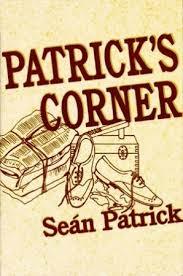 The book deserved to be read sooner and deserves to be read widely. In general, the Hobbs College Library is intended to provide basic resources for students preparing for ministry or men whose entry into ministry preceded their opportunity to get formal education or training. The books are written by highly qualified authors who have spent years teaching university level students; they balance scholarly acumen with a pastoral heart to create helpful resources for the growth and health of the church. Pace’s volume is a little over one hundred pages in eight chapters. In Part One, he lays the groundwork for the preaching event, focusing on the nature of Scripture and the importance of properly approaching the text on its own terms. Rather than hunting for a specific text to preach (which often results in sermons that mangle the meaning of the text), Pace urges preachers to survey the text prayerfully in preparation for the study process that comes later. In Part Two, Pace constructs the framework for the sermon with a chapter on study and interpretation of the text and another of construction of the body of the sermon. Notably, Pace emphasizes that preaching arises out of diligent, joyful study of God’s Word; study is not an onerous duty that must be accomplished because one must preach. This approach to sermon preparation is encouraging. Additionally, the emphasis on using the structure of the passage to drive the construction of the sermon helps keep Scripture at the heart of a given sermon. In the final section, Part Three, Pace picks up the garnishes to sermons: introductions, illustrations, and invitations. He offers balanced perspectives on both introductions and illustrations, which offer helpful reminders of both the importance of the elements as well as warnings for their potential to overtake the sermon. Pace offers a perspective on invitations consistent with many evangelical Bible belt churches that will work well in that context, avoiding the ditches on that culturally appropriate practice. This chapter will be less helpful for those in other contexts (e.g., many congregations in the Northern half of the US) who would find the practice unduly awkward and disconcerting. This is a book that puts the cookies down on the bottom shelf. It is concise, clear, and well balanced. 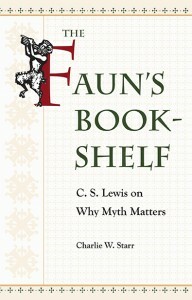 The Hobbs Library continues a positive trajectory with this book. I look forward to many further entries into the series of ministry-minded books that are intended to serve the church. Preaching by the Book should not be the final stop in someone’s preparation for preaching. However, this is the sort of book that would be especially useful in a mentorship program with young men considering vocational or bi-vocational ministry. It would be useful as a text at the undergraduate level in a practical ministry or preaching course. It might even serve as one of several texts in a seminary course. This is the sort of book that is worth reading and sharing with those seeking to improve their skills in the pulpit or determine whether they might be gifted for pulpit ministry.